“I don’t care how much I lift; I just want to look good.” I get it. While lifters and athletes care about their gym numbers, if you are training just to look good, you might not care – but you should. Your gym numbers can have a huge impact on how you look. If you want to look your best, you can’t afford to miss out on this. Here’s why your gym numbers still matter. Which do you think burns more calories – a 60lb Squat or a 200lb Squat? The stronger you get the more weight you can use on all your exercises. This not only burns more calories during your workout, but also after as your body’s metabolic rate is revved up during recovery. 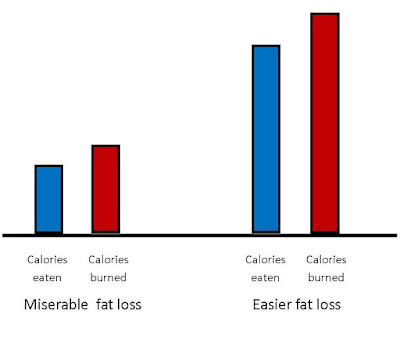 The more calories you can burn (during and after training) the more you can eat and still lose weight. This is not an excuse to cut loose with your eating. However, it is much more pleasant to be eating 2000 calories and still be in a caloric deficit than it is to have to go down to 1000 to get into a caloric deficit. Ever notice how some people have big, but puffy-looking muscles? Yes, body fat levels play a huge role, but even when in contest shape, you can tell the difference between a bodybuilder who just does light weight pumping and one who moves some serious weight. For example, next time you are Google Images, check out pictures of Flex Wheeler and Dorian Yates. Both developed amazing physiques. However, Yates moved much heavier weights and had a much harder body as a result. Contrary to the old fitness mantra, “heavy weights for bulk and light weights to tone and define”, heavy weights build rock-hard, athletic muscle. For decades bodybuilders have loved the 8-12 rep range for building muscle. If you add some lower-rep strength work to get stronger, you can more reps in this popular “size range”. Take 8x Mr. Olympic Ronnie Coleman as an example. Prior to becoming a bodybuilder, Big Ronnie was a powerlifter. As a result, when he switched to bodybuilding, he was able to move some massive weights in this higher rep range and used this to build some massive muscle. Check out this video below of Ronnie doing dumbbell bench press with 200lbs for 12 reps.
Now, hopefully you can see the aesthetic benefits to improving your gym numbers. However, if you blindly chase numbers you will fail to build the physique you want. To build a better-looking body, you also have to avoid this mistakes. In order to progressively increase the demand on your muscles, you have to maintain consistent technique. If your technique gets gradually worse while you gradually add weight you can end up with bigger numbers, but no bigger muscles. Also with exercises such as squats, if you gradually cut depth as you add weight you end up going nowhere. Trust me on this one. I have made this mistake more than anyone. Countless times I’ve added 100+lbs to my squat only to realize I had cut a foot or more off my depth. This is making false gains and it leans to non-existent muscle gains. In performance-based training, you focus more on proper movement and accelerating the weight up. While this still can apply to big exercises (e.g. deadlifts – don’t try to isolate one muscle on a deadlift) you need a strong mind-muscle connection to build muscle. This is especially true when doing isolation exercises. Gyms are full of guys with small arms who do endless sets of heavy curls. Sure they get the weight from point A to point B, but they are using everything but their biceps to do so. If you want to change how you look, start by picking variations of movements that you can actually feel the target muscle(s) working. Then, progressively add weight, but be sure you never lose the mind-muscle connection. Getting stronger on your 1-3RM (rep max – i.e. the most amount of weight you can lift for 1-3 reps) for an exercises is fun and helpful for increasing strength (which as I explained above helps you use more weight on the higher-rep sets). However, you can increase your 1-3 rep max without really changing how you look. To build/sculpt a muscle, low rep performance doesn’t matter as much as seeing improvement in the 5-10 rep range. What if I don’t want to get big? I totally get that this is a big concern (sorry, I couldn’t resist the pun) for many folks – especially ladies. Because of that old misunderstood concept of big weights for bulk and light weights to tone and define, many people who want to get leaner but not bigger are afraid to increase their weights. Heavy weights (at an insufficient volume for size gains) + interval training + caloric deficit = get hard, lean athletic body. What about all those fat lifters? This one can go either way. Sure you can go onto Google Images and find lots of strong, but obese lifters. However, you must never forget that exercise does not cause fat gain. Fast food, junk food and buffets – not heavy squats – is what makes these lifters fat. You can also find extremely strong lifters who are lean and have bodies that would turn heads on any beach. What about (fill in the blank with a famous physique athlete)? Yes, of course you can find good looking physique athletes who lift relatively light weights. 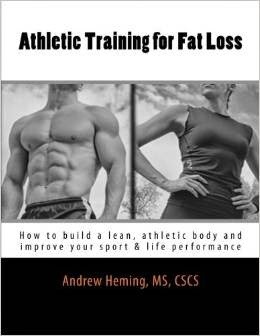 However, there are many factors that go into having a cover model body in addition to training. These include: genetics, diet, drugs, surgical enhancements/alterations and photo shop skills. The average natural trainee without these helpful additions will be unlikely to make dramatic body composition changes without improving their numbers on key lifts. Many people training to look good fall into the trap of muscle confusion. Your muscles don’t need to be confused. Yes, your body will eventually adapt to any routine. Staying on one routine indefinitely is will lead to a plateau and some over-use injuries. However, if you do a complete different workout each time you lift, how will you know if you are progressively increasing the stress on your muscles and forcing them to adapt? 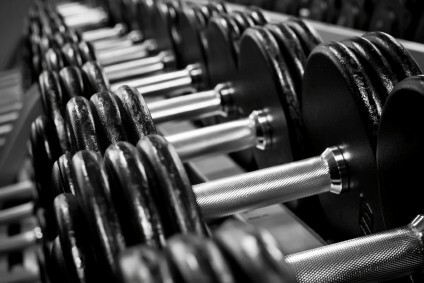 If you want to change your body, seek to progressively add weight to your exercises. However, always remember that numbers are not the end. They are a means to the end. If as you add weight, never lose the mind muscle connection or alter your technique. How about you? I invite you to leave your questions and comments below or on my Facebook page.